The Avg. Group Saves 2.5%! Historic downtown, Mayberry attractions, Granite Quarry, Wineries. The property was very clean, updated and felt very safe. It's centerally located and easily accessed. Breakfast was delicious and offered a wide variety of items. The staff was friendly, knowledgeable and very helpful. We have a large vehicle and found the parking to be a bit tight. The pillows were so soft, they just flattened, so next time we'll bring our own, because we'll definitely stay there again. 09-Apr-2019 Verified Review, stayed from Thu Apr 04 to Sun Apr 07 2019 at a $107.52 average nightly rate. Thank you so much for your stay and for taking the time to send feedback regarding your stay. We appreciate your kind words so much and hope you will visit us again soon. Have a wonderful day! 72 Hours in advance for groups. Nearest major airport is Piedmont Triad International located in Greensboro, NC. The next closest is Charlotte-Douglas located in Charlotte, NC. 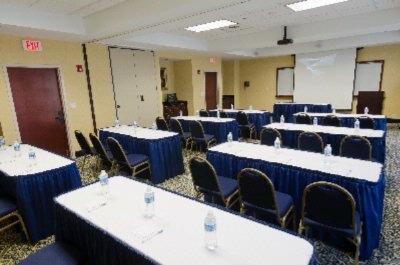 Below are the meeting, banquet, conference and event spaces at Hampton Inn. 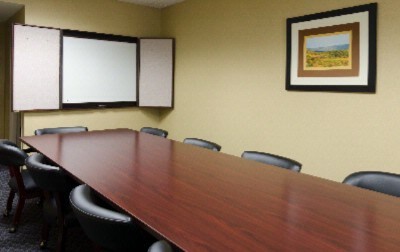 Feel free to use the Hampton Inn meeting space capacities chart below to help in your event planning. Hotel Planner specializes in Mount Airy event planning for sleeping rooms and meeting space for corporate events, weddings, parties, conventions, negotiated rates and trade shows. 12 x 25 x 0 Ft.
25 x 25 x 0 Ft.
37 x 25 x 10 Ft.
12 x 25 x 10 Ft.